We are pleased to announce the release of the Vibroacoustic Harp Therapy Home Study Training Course. The 9-DVD training course, with a 264-page companion notebook is modeled after the intensive weekend course taught by Sarajane Williams in Pennsylvania during the past ten years. 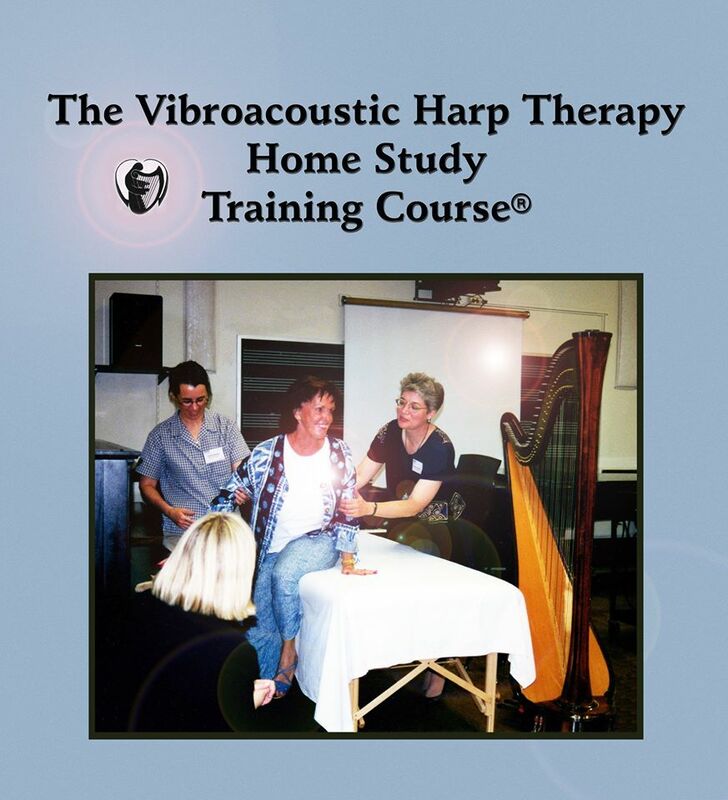 Click to watch an Introductory video on the Vibroacoustic Harp Therapy Home Study Training Course. The delivery of amplified acoustic harp music through a vibrotactile device provides a powerful, direct and immediate effect. The wide range of frequencies and overtones produced on a harp resonate not only with a patient's physical body, but also with the person's mental, emotional, energetic, and spiritual dimensions. The patient experiences multilevel stimulation and harmonization, thereby activating the parasympathetic nervous system and synchronizing the diverse oscillatory systems of the body. This is accomplished through the tempo and style of the music as well as through the resonant vibratory qualities of the instrument. Mary Stevens delivering VAHT to a resident at a care facility.